Learn how to scan a document in PDF, follow the steps below and if you have any questions just write a comment, we will gladly help you. The best thing about PDF documents is that you can use to send or save and limit the possibility of making changes in the future. 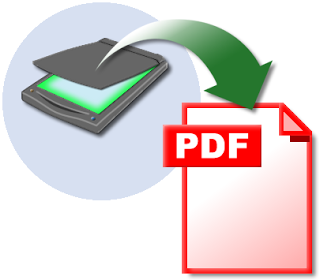 Scanning a document is a simple process, most if not all scanners have the option to scan the document in PDF format. There are a lot of software, but before you go looking for an internet program that does not function properly should investigate whether our program to scan documents makes this feature almost every scan programs can save the scanned document in PDF format. We have installed a reader of this type of document, the most used is Adobe Acrobat Reader, you can get this software at Adobe.com manufacturer homepage. You can not change in the future scanned and saved in PDF document so it is recommended to put the most appropriate way the scanner glass to scan the document to. It depends on which printer or hardware to scan have then several interpretation procedure will be presented, fits any software as saving a document in pdf is just a way to store the document, the other is scanned and anyone knows how to do it today. Place the document on the scanner glass or multifunction printer you have, open the software you use to scan, in the configuration before scanning the document select Format document, the PDF format to save. If you have the Adobe Acrobat Reader installed, open and in the upper left select file, then click Create PDF. A popup window where you must set particular document as page size, where you want to save the document and resolution in which you want to save the document opens. We scan pressed hope that the process ends. If you want to scan more pages together with the above when you finish scanning a message appears, you must select scan more pages. Word processors such as Microsoft Office Word give us the possibility of converting a finished text document into a PDF document. When we finish the document we will file at the top left of the program and select to save the file as us the option to name the document and below the document format you want to save appears, we shot until the document format PDF. You can download PrimoPDF or CutePDF programs like these allow us to save the document in this format just before printing. If you already have an edited in a word processor before printing document does not select a printer if the program does not function save the document on the route indicate. There are many ways to create a document in PDF format, we really just do a little research tools we have available, PDF documents today the most recommended method to send and receive files of importance not want to change by us or third parties.